There’s been a lot of work coming my way lately, which is a good thing because it keeps me working, but it also keeps me from doing extra things like blogging. After spending 10-12 hours a day on the computer writing it is hard to find the energy to get back on and write for the blog. 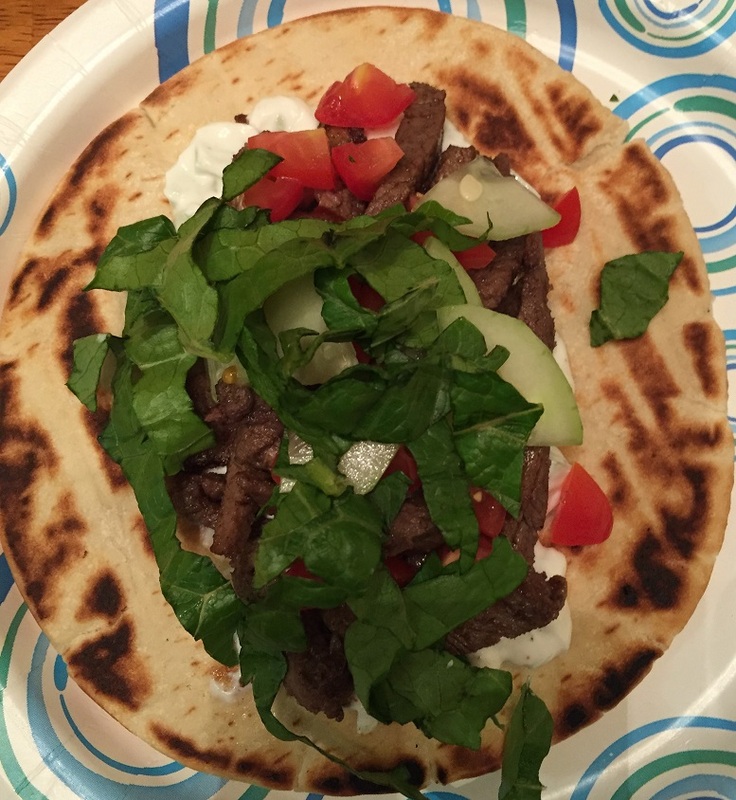 Today I have a little bit of a break during the day so I have time to share a recipe I recently tried out at home. 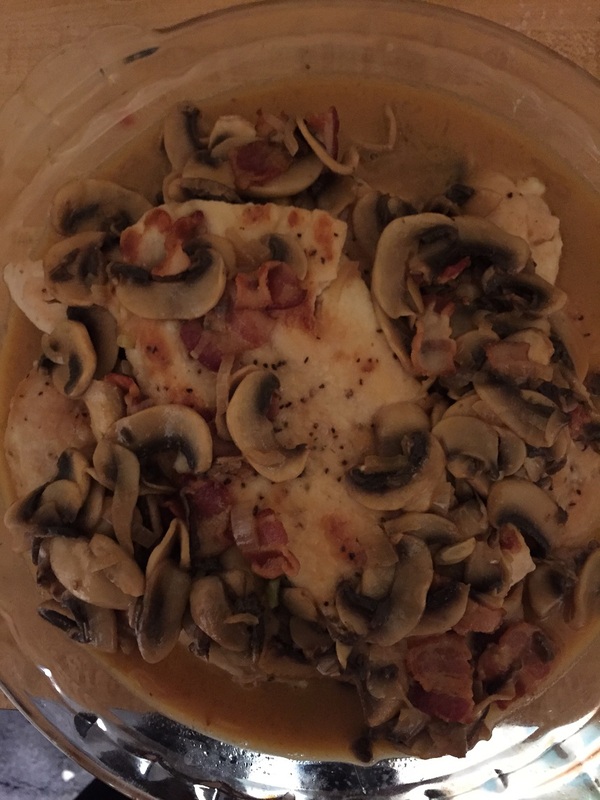 Sometimes it is nice to get back to the classics for recipes and I had wanted to make chicken Marsala for a while now and had just not gotten around to it. I finally happened to be down near our local liquor store the other day and made the conscious effort to go in and get a bottle of Marsala wine so that I could make the chicken. I decided to try out this recipe from America’s Test Kitchen, which strays from a number of other recipes in that they do not make use of chicken broth in the recipe. I figured I would give it a try to see how it came out. Adjust an oven rack to the lower-middle position and place a large heatproof dinner plate on the oven rack, and heat the oven to 200 degrees. Heat a 12-inch heavy-bottomed skillet over medium-high heat until it is very hot (you can hold your hand 2 inches above the pan surface for 3 to 4 seconds), about 3 minutes. Pat the chicken breasts dry with paper towels. Halve the chicken breasts horizontally and then cover the chicken halves with plastic wrap and pound the chicken to an 1/4-inch thickness with a meat pounder. Meanwhile, place the flour in a shallow baking dish or pie plate. Season both sides of the chicken with salt and pepper; working one piece at a time, dredge the chicken in the flour to coat both sides. Lift the chicken piece from the tapered end and shake it to remove any excess flour; transfer the piece to a large plate and repeat the process with the remainder of the chicken. Heat 2 tablespoons of the oil in the heated skillet until it is shimmering. Place the floured cutlets in a single layer in the skillet and cook the chicken until it is golden brown on the first side, about 3 minutes. Using tongs, flip the cutlets and cook them on the second side until they are golden brown and no longer pink, about 2 to 3 minutes longer. Transfer chicken to heated plate and repeat the process with any remaining chicken pieces. When all of the chicken is cooked, return the plate to the oven. Cook the pancetta or bacon in the now-empty skillet over low heat, stirring occasionally and scraping up any browned bits, until it is crisp, about 5 minutes. Remove the pancetta with a slotted spoon and transfer it to a paper towel-lined plate. Add the mushrooms to the now-empty skillet, increase the heat to medium-high and cook, stirring occasionally, until the mushrooms are softened and lightly browned, about 8 minutes. Stir in the garlic, tomato paste and the crisp pancetta or bacon and cook until the tomato paste begins to brown, about 1 minute. Take the skillet off the heat and stir in the Marsala wine, scraping up any browned bits. Return the skillet to the heat and bring the mixture to a vigorous simmer and cook, stirring occasionally, until the sauce is thickened and measures about 1 1/4 cups, about 5 minutes. Off the heat, stir in the lemon juice and any accumulated chicken juices. Whisk in the butter, 1 piece at a time. Stir in the parsley and season the sauce with salt and pepper to taste. Pour the sauce over the chicken and serve. I have to say I have had chicken Marsala a number of times and very often the chicken is overcooked and the mushrooms are slimy and the sauce is watery. none of those things occurred with this dish. the chicken was tender with great flavor and the sauce came out perfectly. The mushrooms were not overcooked or watery and came out perfectly and the pancetta (or bacon, which I used this time) was a nice touch to the dish. I served this with noodles for Michelle and Sean and had it over rice myself and it was done perfectly. I even had some leftovers the next day for lunch and it was delicious. I would use this recipe again to make this classic. It is not one I had made in a long time so it was nice to try it again. there are always going to be times where you wish you had some dessert around and you just don’t have anything available. Maybe it is some last-minute visitors stopping by for coffee and you just wish you had something you could put out. Or maybe you are like me and you have a teenager complaining that there are no desserts in the house and they would like something to have as a snack or dessert. At times like this you need to have an arsenal of desserts that you can put together easily, typically in under an hour and without creating a lot of fuss or mess. Sure, cookies are always an option, but for me it means dragging out a lot of ingredients, the mixer, cookie sheets and more and it means a lot of clean-up. Brownies are always a good option too, but maybe you don’t have the chocolate on hand to do them fast. it is at times like this that I often find myself turning to a trusty pound cake recipe I got from America’s Test Kitchen. it is a classic recipe, easy to put together, requires only a few ingredients and minimal clean up and produces a great and versatile dessert. 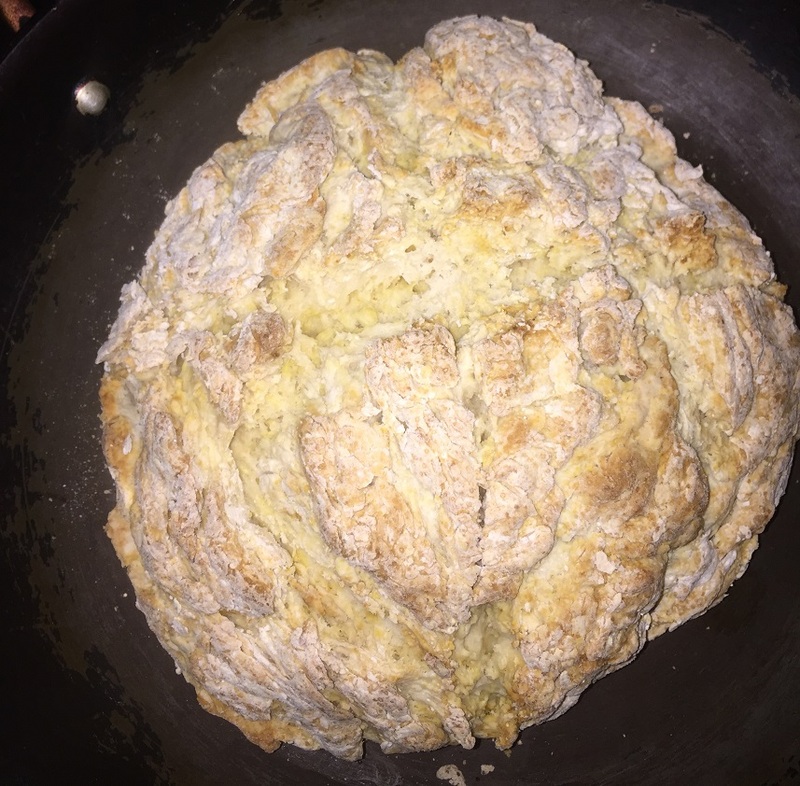 Sift the flour mixture over the egg mixture in 3 additions, whisking to combine the ingredients after each addition until only a few streaks of flour remain. Continue to whisk the batter gently until almost no lumps remain. Try not to overmix the batter. 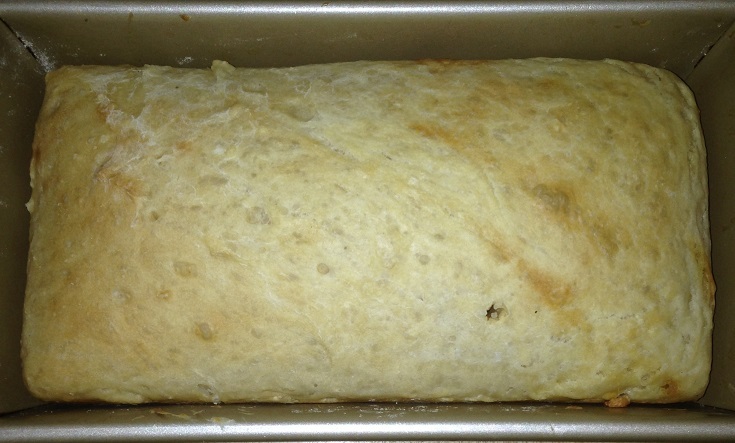 Scrape the batter into the prepared loaf pan and smooth out the top. Wipe any drops of batter off the sides of the pan and gently tap the pan on the counter to release any air bubbles from the batter. Bake the cake in the oven until a toothpick in the center comes out with a few moist crumbs attached, about 50 to 60 minutes, rotating the pan halfway through the baking process. Let the cake cool in the loaf pan on a wire rack for 10 minutes. Run a small knife around the edge of the cake to loosen it from the pan, then flip the cake out onto a wire rack.Turn the cake right side up and allow it to cool completely, up to 2 hours, before serving. 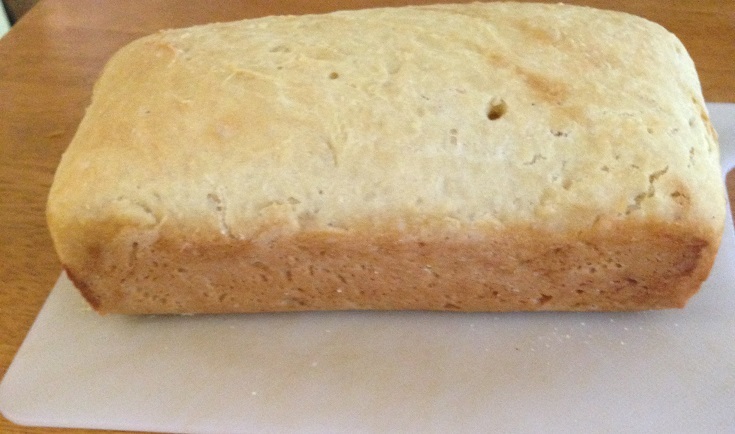 What you end up with in just about an hour is a moist pound cake that is not thick and dense like many can be. The process of adding the hot butter in the food processor allows the ingredients to emulsify quickly before there is a chance of anything curdling that can make the cake dense. 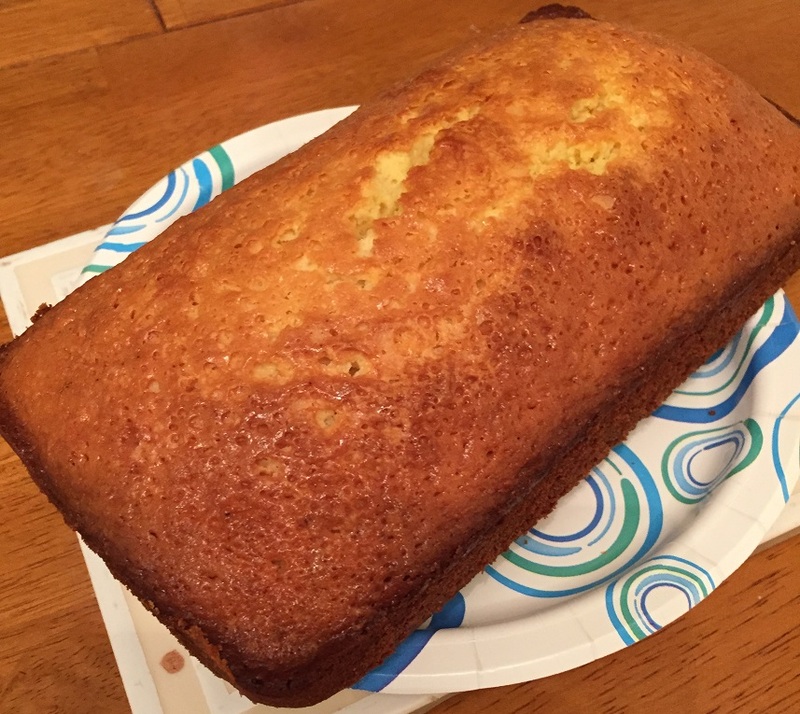 if you prefer not to have the lemon you can simply leave the zest and juice out and get a nice, plain pound cake or you can substitute something like orange juice and zest for an orange flavor or use some almond extract and slivered almonds for an almond pound cake. you can then serve this nicely by itself or with some ice cream, serve with berries or other fruit, or even serve it in chunks with some chocolate fondue. That’s all I have for today. Check back next time for another recipe. Until then, enjoy the rest of your day, have a Happy Valentine’s Day and enjoy your meal! More often than not we have one meal a week that I just call Leftovers Night. 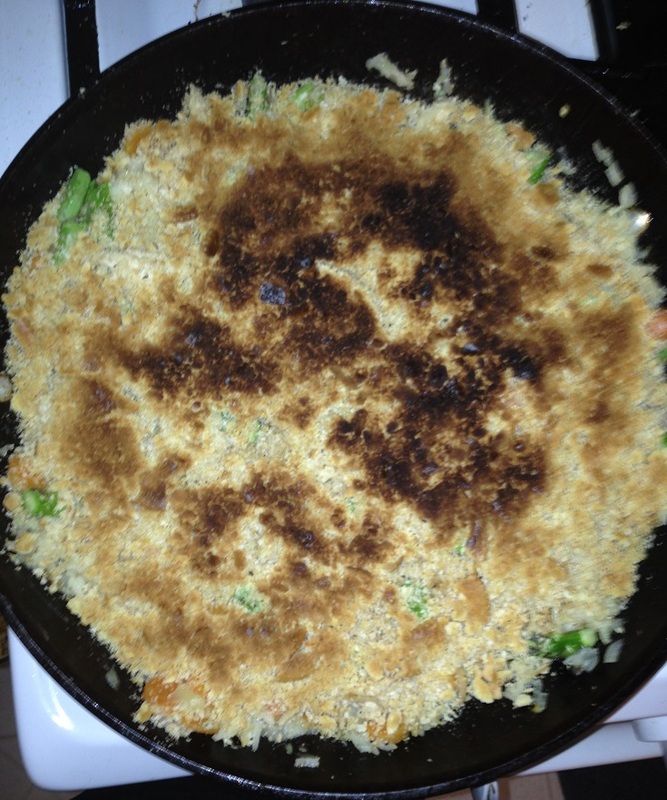 The night is either a hodgepodge of different things that have been leftover from various meals re-heated separately or, if the ingredients go well together, some type of stir fry, hash or casserole for dinner. When we had some leftover vegetables and a rotisserie chicken in the fridge the other day, it seemed to be crying out to be made into some type of casserole and I had seen this recipe from America’s Test Kitchen for a chicken and rice casserole recently and found this was the perfect opportunity to give it a try. Adjust an oven rack to the middle position and heat the oven to 400 degrees. Melt the butter in a large nonstick skillet set over medium-high heat until the foaming subsides. Add the carrots and the onions and cook until the vegetables are lightly browned, about 6 minutes. Stir in the garlic and cook until the garlic is fragrant, about 30 seconds. Add the rice and stir until the rice is evenly coated. Add the water, chicken stock, heavy cream, 1/4 teaspoon of salt and 1/4 teaspoon of black pepper and bring the mixture to a simmer. Turn the heat down to low, cover the skillet and cook, stirring often, until the rice has absorbed most of the liquid and is just tender, about 20 to 25 minutes. Stir in the cooked chicken, the asparagus, Parmesan cheese, lemon juice and the tarragon and season the mixture with salt and pepper to taste. Pour the mixture into an 8-inch square baking dish and sprinkle the Ritz cracker crumbs over the top to coat the top of the casserole. Bake the casserole until the topping is browned, about 10 to 12 minutes. Allow the casserole to cool for about 10 minutes before serving. This recipe makes great use of all kinds of leftovers and comes together nicely to form a one pot dish filled with chicken, rice and vegetables. The chicken stock and heavy cream create a nice sauce that goes throughout the dish and you get a hint of the lemon and the cheese in each bite. I really liked using the Ritz crackers as topping as well and it gave some added buttery flavor and crunch to the dish. This would work well with any type of leftover chicken or turkey and you can put it all together in under 40 minutes, making it great for a weeknight and for easy clean up.